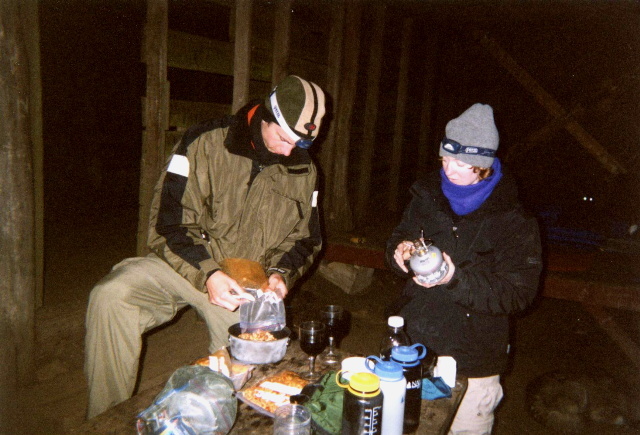 In Episode 1 (the inaugural episode) of the N2Backpacking podcast series, I speak with Glenn and Susan about their adventures on the John Muir Trail (JMT) in 2006. The Helmet and Doughgirl talk about their preparations, planning, logistics, gear and favorite stops on the John Muir Trail which traverses a portion of the High Sierra in Northern California. The John Muir Trail follows the Sierra Nevada mountain range for 210 miles and through Yosemite, Kings Canyon, and Sequoia National Parks. The northern terminus is located at Happy Isles in Yosemite Valley, and the southern terminus is located on the summit of Mount Whitney (14,505 feet) which is the highest point in the Lower 48. #1 – I downloaded your JMT podcast episode & will download more. Do you plan on making the podcast available through Zune? #2 – Do you have a Facebook page? I could not find one. #3 – I moderate a Wonderland Trail Facebook page (here). I invite you to “like” it & have a look around. http://www.facebook.com/pages/N2Backpackingcom/217123161657746?sk=wall and I think if you “like” it that you’ll get regular updates that way. I went to your Wonderland Trail Facebook page and “liked” it. I’ve hiked about 14 miles on it and always wanted to finish it. It was interesting to look at your maps. Thanks for reaching out and if you have a website and want to swap links let me know. Just gotta say thanks. I’ve been planning to thru hike the JMT next May and I listen to your podcast everyday at work and nothing gets me more excited to get out of here! “Episode 44: Trail Days 1995” was a real treat. Made me real how different people talk nowadays. Anyways, I was looking through some of your photos (from the california hikes pages). They’re beautiful. I was wondering what type of camera you use. I’ve been looking for a light film point and shoot to bring along with me on my hikes. In terms of cameras – I’ve used a bunch over the years but lately have been using a Canon Powershot Elph because they are fairly lightweight, inexpensive, and take decent photos and video. It’s also easy to hike with it in my pocket or hipbelt so I can snap pics on the fly. Sounds like a heavy snow year on the JMT! Let us know if you make it out.